Woohoo! It’s here! One of the KOAB community’s favorite Black Friday deals every year. Thru 11:59 pm on November 27, you will save $5 when you spend $20 or more on books sold & shipped by Amazon. Just be sure to use the promo code GIFTBOOK17 at checkout. Not sure what to get with your code? My blogging buddy Miriam Pascal’s brand new Real Life Kosher Cooking: Family-Friendly Recipes for Everyday & Special Occasions is on sale right now for just $21.99 (originally $34.99). When you use the coupon code GIFTBOOK17, you’ll pay just $16.99. WOOHOO! Don’t worry that it says it’s currently out of stock — your price and coupon discount will lock in, and you will automatically get this price when the book is back in stock and ready to ship. **Tip** During last year’s Book Deal, Amazon actually pulled the plug a few hours earlier than anticipated. So, don’t wait to place your order. Offer expires at 11:59 p.m. (PT) November 27, 2017. Check out all the Amazon Black Friday & Cyber Monday Deals. Don’t miss a deal! Sign up for text alerts! 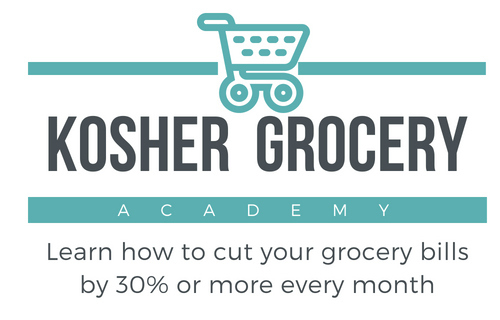 Text the words Follow @kosheronabudget to 40404 to get text alerts from me every time there’s a new hot deal. This week, your phone will be buzzing a lot! I’m sorry that you are having rouble, Sylvia. Can you send me an email? Perhaps I can help you figure out what the issue is. mara @ betterbudgetguide.com (remove the spaces).